Custom Printed With Your Logo, Motto, Slogan or Promotional Advertising Message! 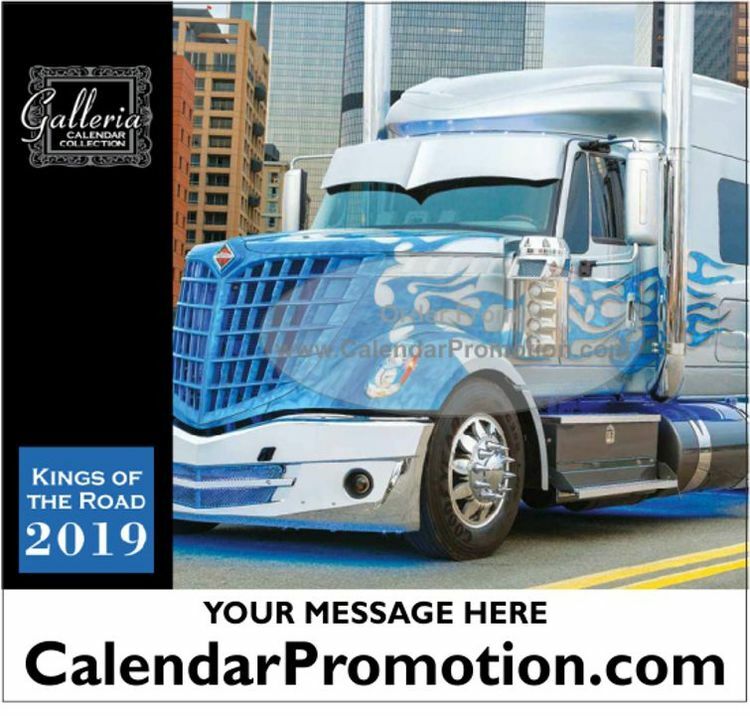 Tractor trailer and semi truck photo year 2020 calendars are a favorite logo promotional product for trucking and freight companies, logistics services, towing services, and the truck repair and maintenance industry. 18 wheeler, big rig and semi truck photos on each month will get your imprinted logo or motto repeat viewing all year long. 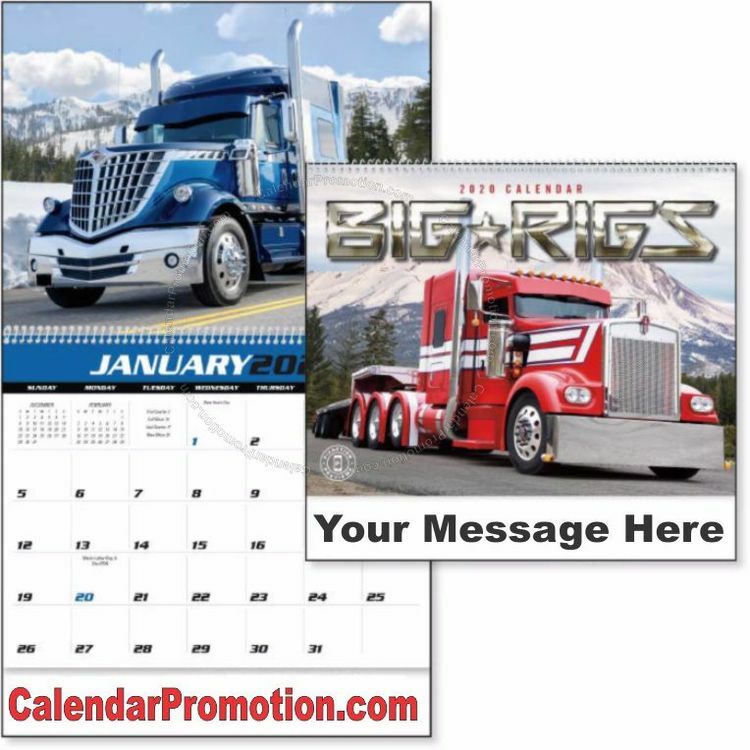 Big Rigs Promotional 2020 calendar personalized with your logo or motto custom imprinted. 18 wheeler and semi tractor trailer photos ready for the open road every month. 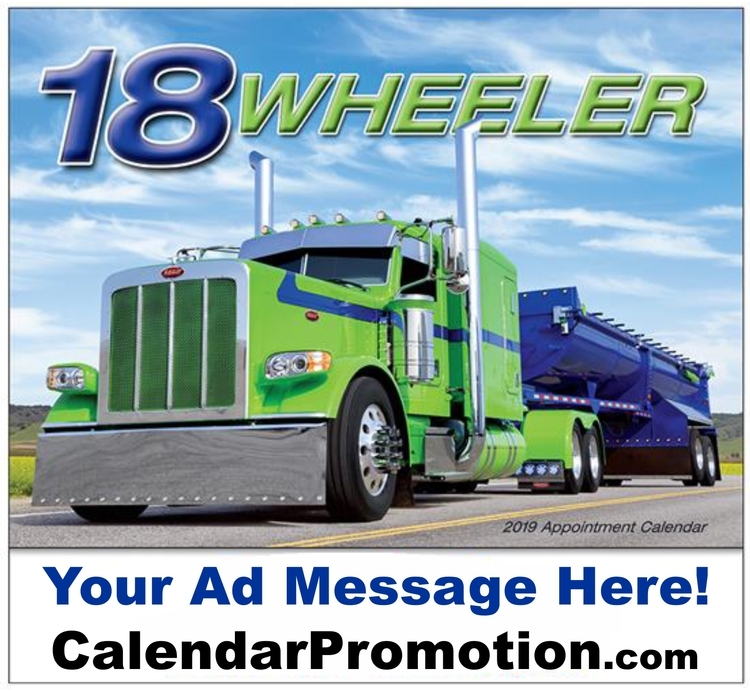 2020 Appointment Wall Calendar | Add value to your calendar with an extra sheet and/or an Insights back mount for no additional cost | Great personalized promotional high value calendar for automotive business, truck repair companies, towing, transportation, and freight logistics. Trucking companies have used logo imprinted promo calendars for decades as promotional advertising gifts! LP Marketing can custom print your logo, motto, slogan or advertising message on 18 wheeler / tractor trailer / semi truck photo calendars for year 2020. Truck calendars make great imprinted promotional advertising items to get repeated viewing of your advertising message all year long. Call us today!